This is the first textbook designed for students, practitioners and scholars of the performing arts who are curious about the power of the cognitive sciences to throw light on the processes of performance. It equips readers with a clear understanding of how research in cognitive neuroscience has illuminated and expanded traditional approaches to thinking about such topics as the performer, the spectator, space and time, and the text. 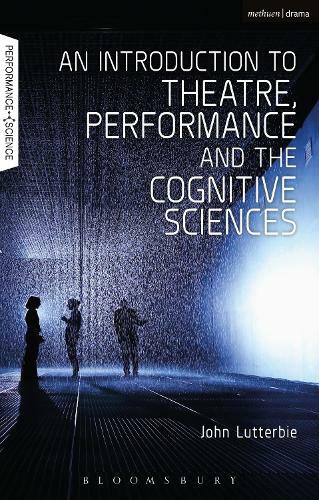 Each chapter considers four layers of performance: conventional forms of theatre, performance art, everyday life, and applied arts, offering an expansive vision of the impact of the cognitive sciences on performance in the widest sense. Beginning with the interaction of the performer and spectator, the reader explores the science and philosophy of embodiment, its relation to performance ecologies and aesthetics, and how the sciences can help us understand the experience of art. Written in an approachable style, An Introduction to Theatre, Performance and the Cognitive Sciences weaves together case studies of a wide range of performances with scientific evidence and post-structural theory. Artists such as Robert Wilson, John Moran, Societas Raffaello Sanzio, Ariane Mnouchkine, Bertolt Brecht, and Antonin Artaud are brought into conversation with theories of Gilles Deleuze, Shaun Gallagher, Alva Noe, Tim Ingold and the science of V. S. Ramachandran, Vittorio Gallese, Antonio Damasio, Susan Goldin-Meadow, and David O'Neill. The result is a complex understanding not only of the act of performing but the forces that mark the place of theatre in contemporary society. In drawing on a variety of scientific articles, John Lutterbie provides readers with an accessible account of significant research in areas such as mirroring systems, memory and attention that are impacting our understanding of performance.